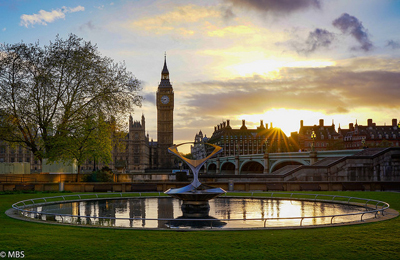 Taken by Murray, this picture captures some of the city’s iconic attractions as it looks across the River Thames to Elizabeth Tower (formerly known as the Clock Tower) at the northern end of the Houses of Parliament just as the sun is setting. Westminster Bridge can be seen to the right while pictured in the foreground, in the middle of a garden located at St Thomas’ Hospital, is the Grade II*-listed sculpture/fountain, Revolving Torsion, which is the work of Russian-born artist Naum Gabo and has been on long-term loan to the hospital since the mid-1970s. Says the photographer: “Funnily enough, I shot this picture handheld and spontaneously as I though I might miss the shot. I then tried to take better ones with a tripod etc – but I think this was my best effort. Spontaneous pictures are always the best…I used to work in St Thomas’ which is behind me in the picture and looked out at this view constantly during the daytime.” PICTURE: Murray/www.flickr.com/photos/muffyc30/. Eighteenth century physician Dr Richard Mead is noted not only for his attendance on the rich and famous of his time – including royalty – but also for his philanthropy, his expansive collections and, importantly, his contributions in the field of medicine. Born in Stepney, London, on the 11th August, 1673, as the 11th of 13 children of nonconforming minister Matthew Mead, Mead studied both Utrecht and Leiden before receiving his MD in Italy. 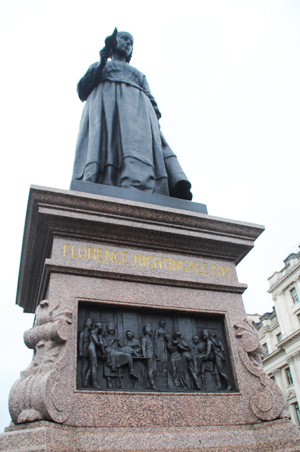 Returning to England in 1696, he founded his own medical practice in Stepney. He married Ruth Marsh in 1699 and together the couple had at least eight children, several of whom died young, before her death in 1720 (he subsequently married again, this time to Anne, daughter of a Bedfordshire knight, Sir Rowland Alston). Having published the then seminal text – A Mechanical Account of Poisons – in 1702, the following year Mead was admitted to the Royal Society. 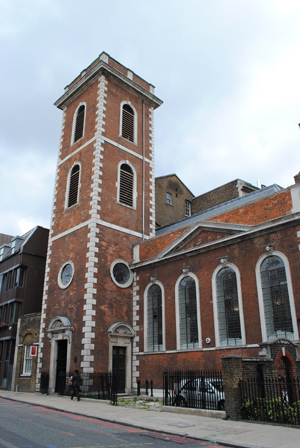 He also took up a post as a physician at St Thomas’ Hospital, a job which saw him move to a property in Crutched Friars in the City – his home until 1711, when he relocated to Austin Friars. It was after this that he become friends with eminent physician John Radcliffe who chose Mead as his successor and, on his death in 1714, bequeathed him his practice and his Bloomsbury home (not to mention his gold-topped cane, now on display at the Foundling Museum – see note below). 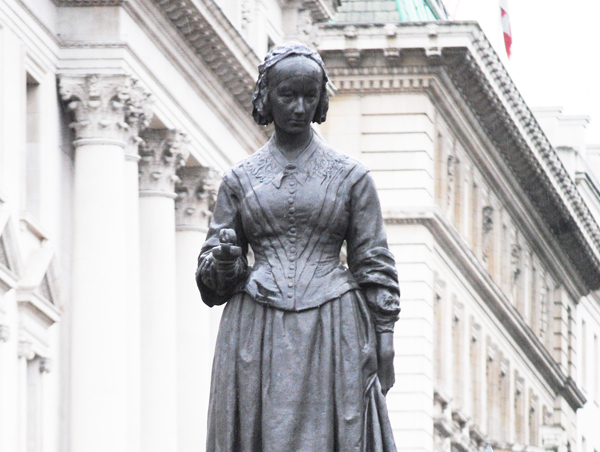 Following Radcliffe’s death, in August of that year Dr Mead attended Queen Anne on her deathbed. Other distinguished patients over his career included King George I, his son Prince George and daughter-in-law Princess Caroline – in fact he was appointed as official physician to the former prince when elevated to the throne as King George II – as well as Sir Isaac Newton, lexicographer Dr Samuel Johnson, Alexander Pope, Sir Robert Walpole and painter Antoine Watteau. Mead, who had been named a governor of St Thomas’ in 1715 and elected a fellow of the Royal College of Physicians in 1716, was over the years recognised as an expert in a range of medical fields – including, as well as poisons, smallpox, scurvy and even the transmission of the plague. Among the many more curious stories about Dr Mead is one concerning a ‘duel’ (or fistfight) he apparently fought with rival Dr John Woodward outside Gresham College in 1719 over their differences in tackling smallpox and others which concern experiments he conducted with venomous snakes to further his knowledge of venom before writing his text on poisons. Dr Mead was also known for his philanthropy and became one of the founding governors of the Foundling Hospital (as well as being its medical advisor) – a portrait of him by artist Allan Ramsay (for whom he was a patron), currently hangs at the museum. Dr Mead, who by this stage lived in Great Ormond Street in Bloomsbury (the property, which backed onto the grounds of the Foundling Museum and which Mead had moved into after his first wife’s death, later formed the basis of the Great Ormond Street Hospital for Children), is also noted for the large collection he gathered of paintings – including works by Dürer, Holbein, Rembrandt, and Canaletto, a library of more than 10,000 books, antiquities and classical sculpture as well as coins and jewels, all of which scholars and artists could access at his home (it took some 56 days to sell it all after his death). While Dr Mead – who died on 16th February, 1754 – was buried in the Temple Church, there is a monument to him – including a bust by Peter Scheemakers – in the north aisle of Westminster Abbey. 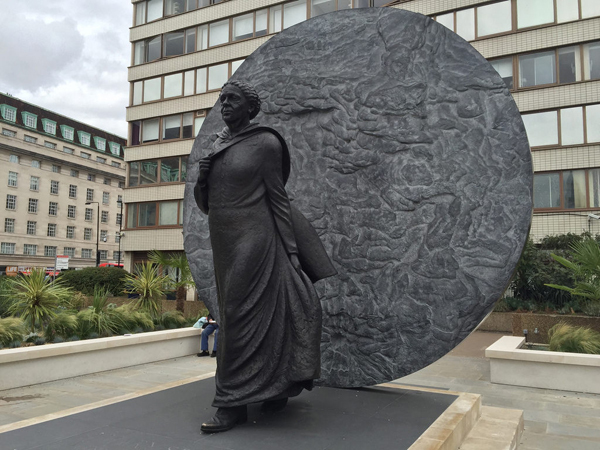 Dr Mead is currently being honoured in an exhibition at the Foundling Museum – The Generous Georgian: Dr Richard Mead – which runs until 4th January. There’s an accompanying blog here which provides more information on his life and legacy. It’s the most unlikely location for anything to do with a hospital. High above the street in what was a herb garrett above a former church sits what was the operating theatre for females of St Thomas’ Hospital. Built in 1703, the attic space resembles something of a large barn and was likely first used for storing and drying herbs by the resident apothecary at the then newly reconstructed St Thomas’ Hospital (this was largely rebuilt at the end of the 17th century on the same site previously occupied by the hospital as far back as the 1200s). In 1822, the hospital’s governors decided that part of the herb garrett be converted into a new purpose-built operating theatre for female patients. The addition of windows in what was left of the adjoining garret, meanwhile, suggest it may have been used as a recovery ward. The first thing that assails you as you enter the herb garrett these days, having clambered up a narrow twisting staircase is the sweet, spicy smell of herbs. There are plenty of these within the garret, each with a hand written card explaining the curative properties they were renowned for – who knew, for example, that the ash of bladderwrack, dried kelp or seaweed, could be used to treat scrofula and goitre, or that the origins of aspirin go back to 1758 when a Chipping Norton clergyman chewed on a willow twig? Elsewhere in the space are displays featuring early surgeon’s implements (and all the horror that entails), specimen jars containing human organs, anatomical models, pill and medicine making equipment and a display on nursing (there’s also a display on the poet John Keats who briefly served as an apprentice apothecary at St Thomas’ and St Guy’s in 1815-17). Through the garret is located the operating theatre itself, complete with the wooden operating table and series of seats for spectators. Information panels nearby speak of such things as the blood box located below the floor into which the blood drained away and the speed with which surgeon’s had to work (until 1846 there was no reliable anaesthetic and it wasn’t until 1865 that Sir Joseph Lister introduced antiseptic procedures). There’s also a panel on the resurrection men – people who traded in cadavers to meet the growing needs of anatomists in the 18th and 19th centuries (and whom were known in London and elsewhere to have murdered people to meet the demand for bodies). For all the faux-horror of nearby attractions like the London Dungeon, it’s here that you can truly experience the horrors some people have had to face as they prepared to go under the surgeon’s knife. WHERE: The Old Operating Theatre Museum and Herb Garret, 9a St Thomas’s Street, London Bridge (nearest Tube station is London Bridge); WHEN: 10.30am to 5pm daily; COST: £5.90 an adult/£4.90 concessions/£3.80 children under 16/£13.80 a family (up to four children); WEBSITE: www.thegarret.org.uk.